There’s another new label on the shelves at Generation Green, John Boy Farms/Apple Junction. These 5th generation farmers south of St. Agathe, Manitoba are bringing us delicious Apple Syrup & Apple Jelly! Using a unique apple press, and several different types of apples from Manitoba, some of which come from utilizing the Fruit Share program in Manitoba (fruit that would otherwise go to waste), they create a cider that they then use to produce their products. 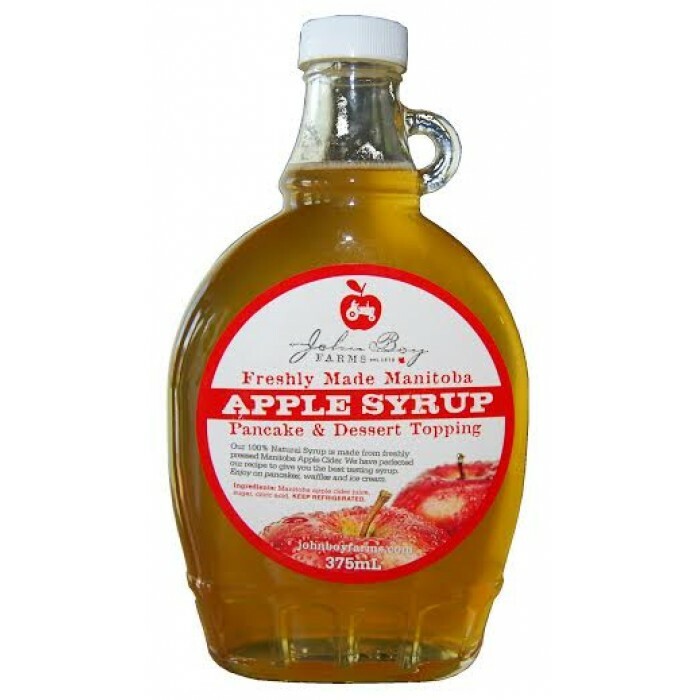 The apple syrup is made in small batches and is excellent on pancakes, french toast and waffles. But it can also be used as a glaze on ham/meats or added to your favourite meat sauce, salad dressings, oatmeal or coffee and tea. 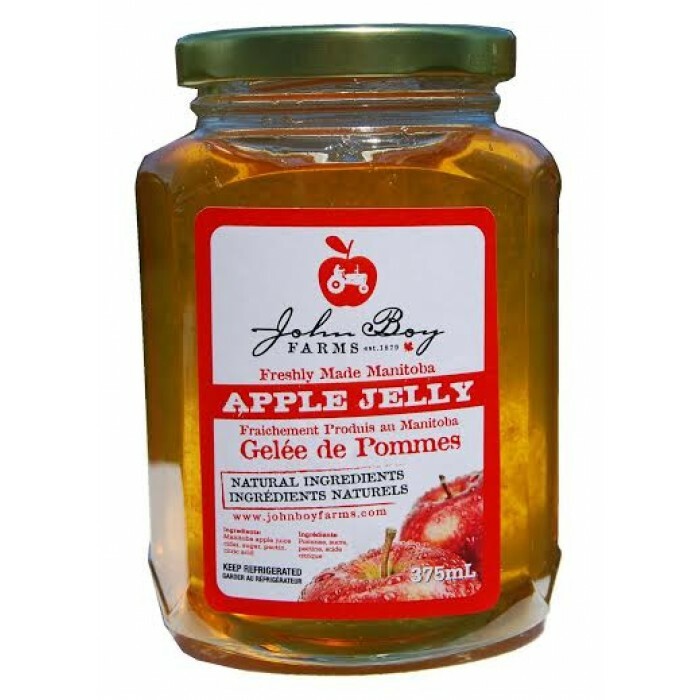 Their traditional apple jelly is also made using their Manitoba sweet apple cider, and is excellent on toast, bagels, croissants, etc and makes a great jelly sandwich. It can also be used to glaze meats or as a side jelly with turkey/chicken. Stop by Generation Green at The Forks on Friday, December 13th from Noon-3PM to sample for yourself! Miniature bottles are also available & make great stocking stuffers!